Splendid, Strange, Rare, Exotic, Exquisite. This vibrant blue patina design with colorful veins was fun because i could get very detailed with the forking nature of the vein patterns. And having the blue background has them pop in a striking manner! 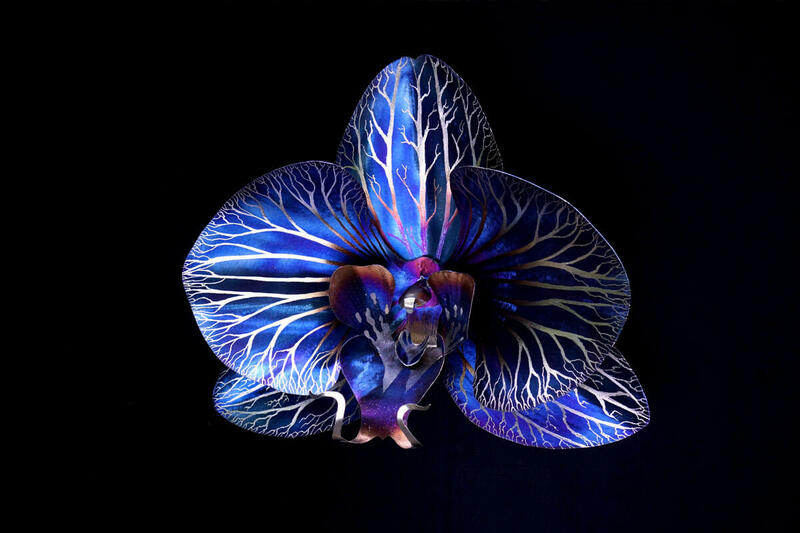 Large blue orchid flower with white veins. 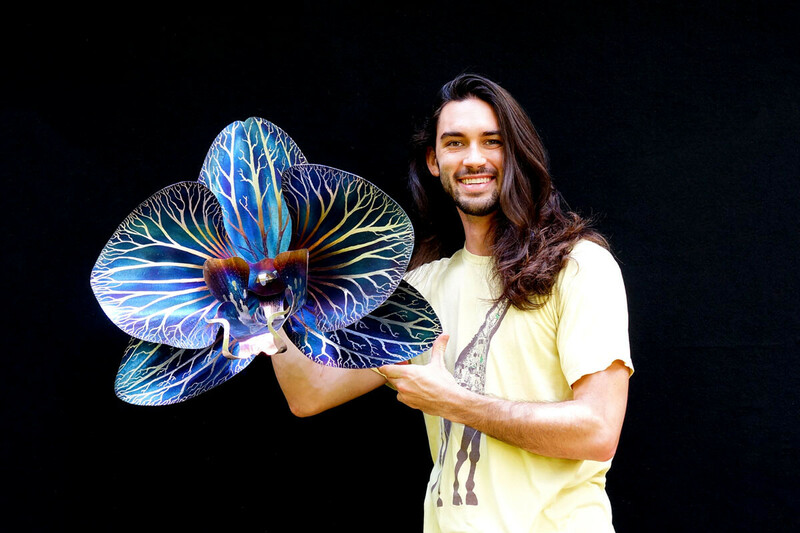 Artist Aiden Dale with large blue orchid flower with white veins. 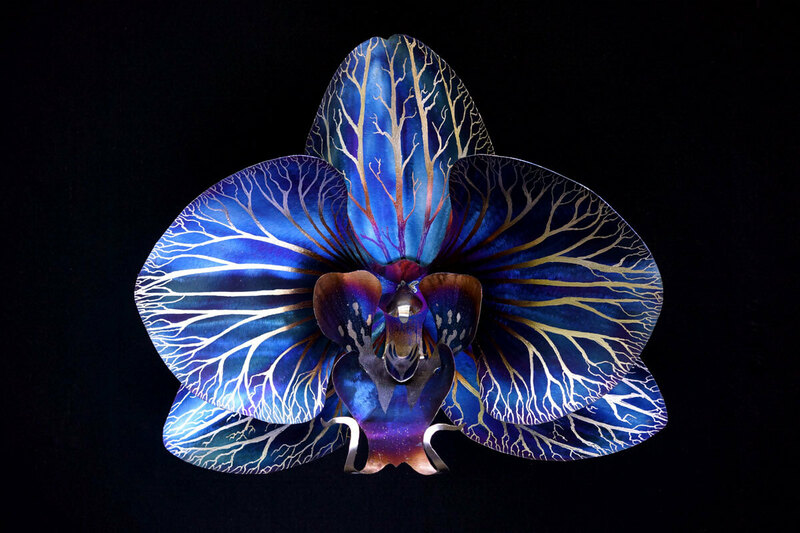 Large blue orchid flower with white veins tilted. 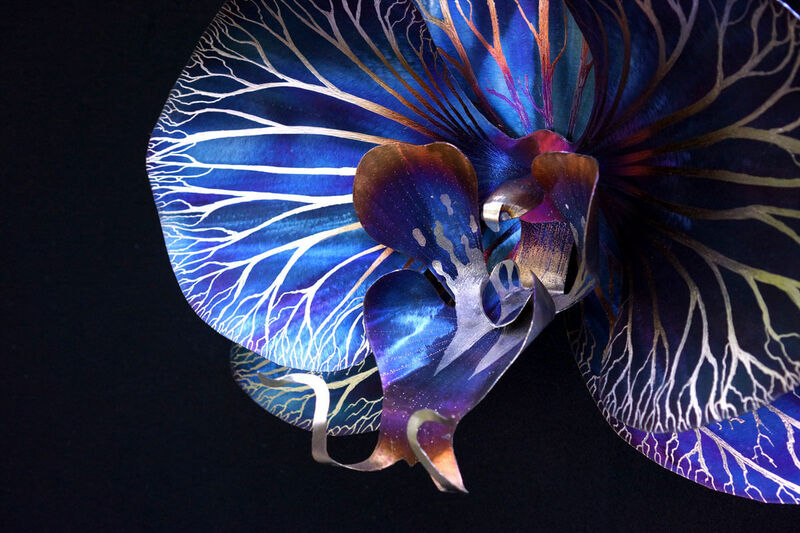 Close up of large blue orchid flower with white veins.